1. 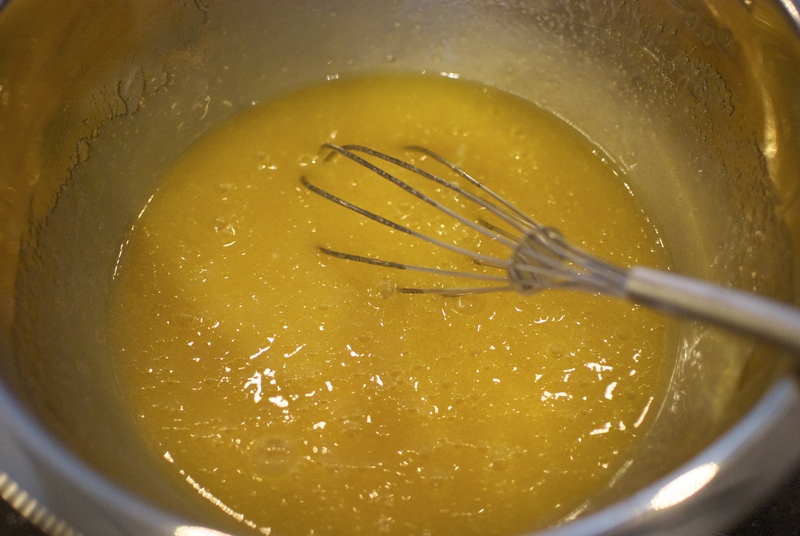 Preheat the oven to 375 F. In a large bowl, first beat the eggs, then beat in the oil, sugar, vanilla, baking powder, and salt. 2. 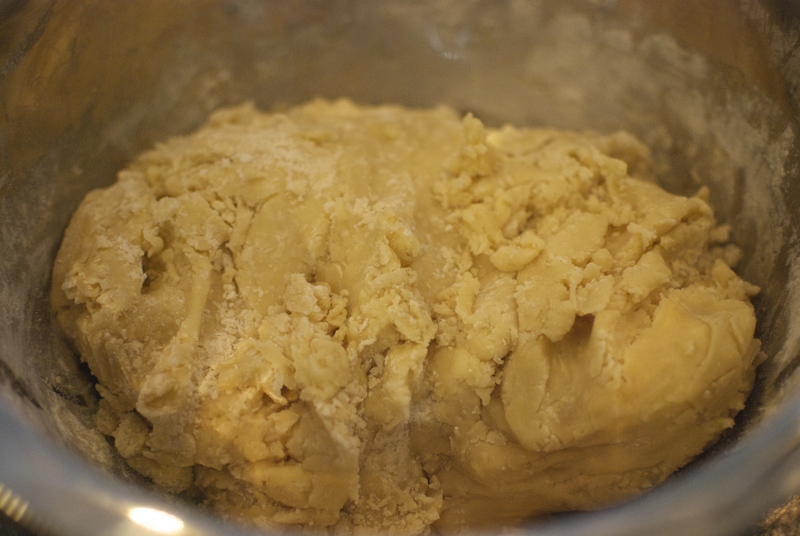 Gradually add in the flour, stirring until well mixed. 3. Roll out to 1/8″ thick. 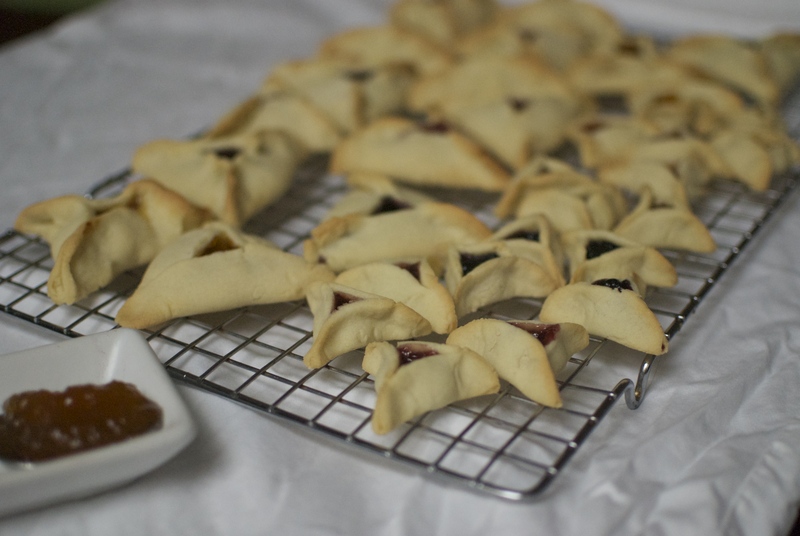 Cut into circles (about 3″ for normal sized hamentashen). 4. 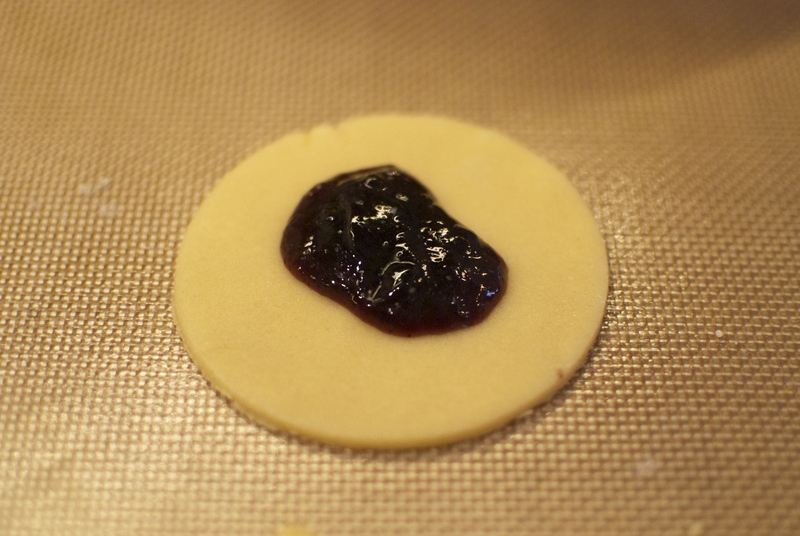 Put a small amount of filling in the center of each round of dough, then pinch two sides together. 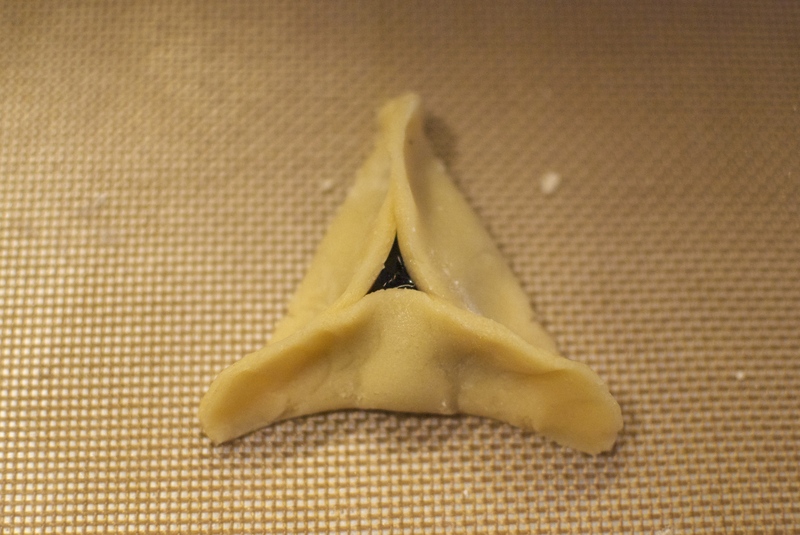 Fold up the last side and pinch the corners to form a triangle. 5. Bake for 10-15 minutes, or until golden brown. Cool on wire racks and enjoy! 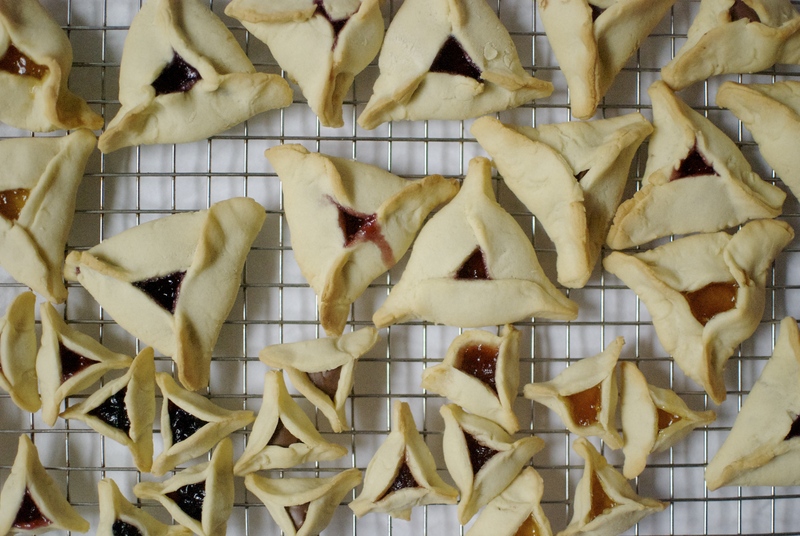 Happy Purim, and happy nibbling! 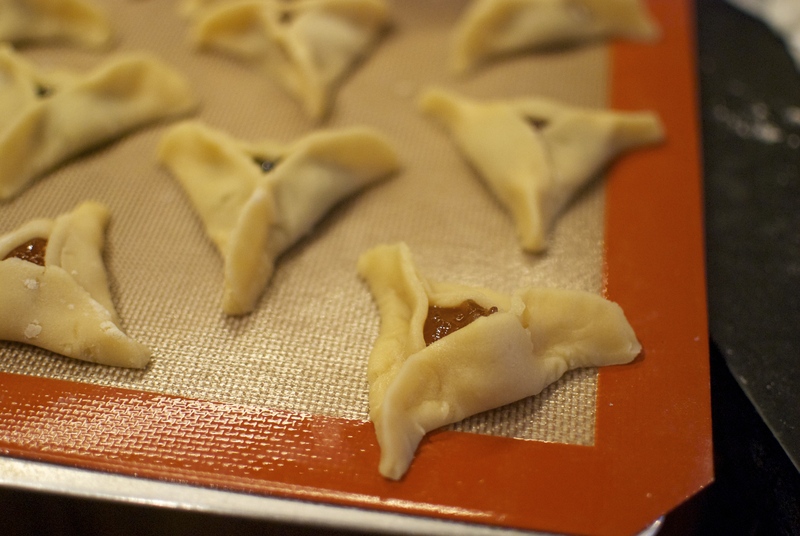 Alaina, check out your post for the hamentashen. 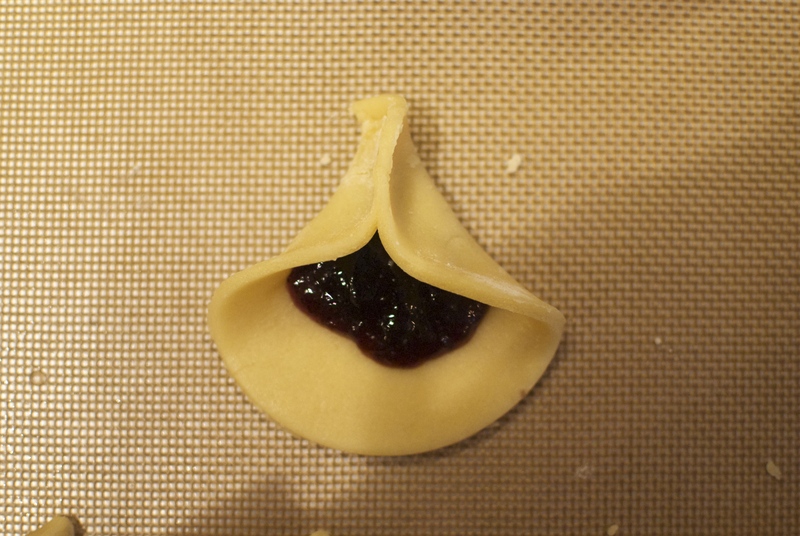 It doesn’t open to the recipe. They look great. Your giving Nannie a run for her money. I can’t wait to try these! 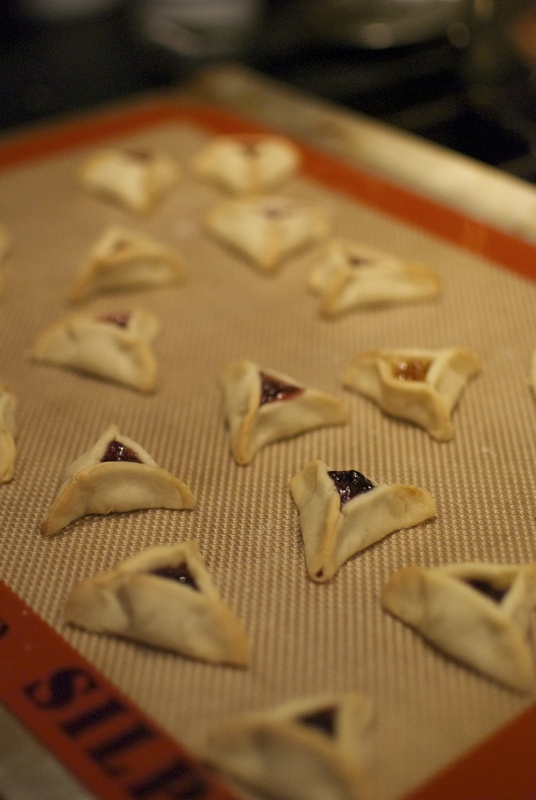 They look yummy and delicate! Thank you so much for the lovely comment! Let me know when you try them.